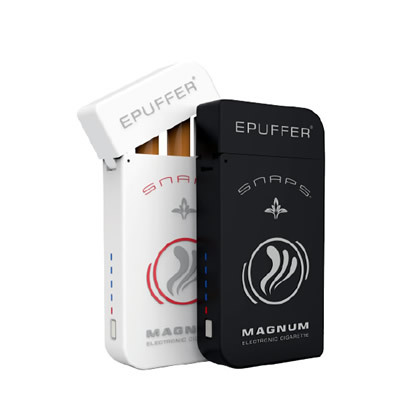 ePuffer’s new line of disposable electronic cigarettes is the first ever disposable e-cig that is made with environment-friendly food grade materials. These disposable e-cigs are equipped with ePuffer’s exclusive True Nicotine Content, featuring Soft Filter, and DiRECT|Flow™ technology which gives the user a smoother draw, intense and delicious flavor, and denser vapor. 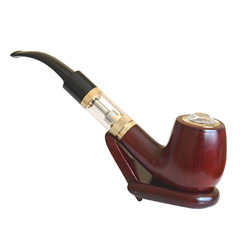 ePuffer assures you that their products a very affordable, but are of top quality. The ePuffer Eco Series Menthol Disposable E-Cigarette is compact and lightweight, with a length of 118 millimeters, and a weight of only 12 grams. 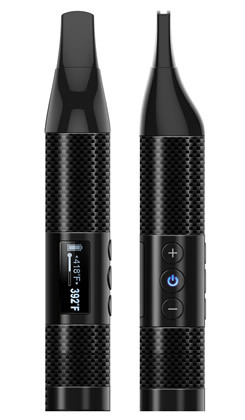 This disposable e-cig is convenient, and would surely fit right in your pocket. 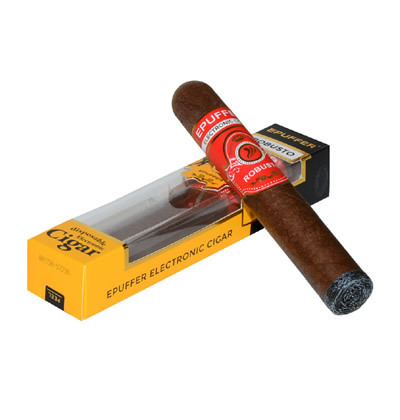 This e-cig also comes with a 3.7V lithium battery that could last up to 500 puffs (roughly equal to 30 traditional cigarettes), making sure that you would not be running out of puffs. It also comes with a square protective tube, which is ideal for users to store their disposable e-cigarettes when traveling. It is also equipped with a Charcoal Led, an orange tip in the form of a burning charcoal. Since these disposable electronic cigarettes are already precharged, you could use these bad boys as soon as you receive them. There will be no need to plug it in at home and wait for it to be fully charged before you could use it. ePuffer Eco Series Menthol Disposable E-Cigarette is available in three different nicotine densities that would cater to different smoking need: 24mg, 12mg, and 0 mg. A 24mg disposable electronic cigarette would contain 2.4% nicotine per e-cig; 12mg would contain 1.2% and; 0 mg would have 0% per e-cig. This disposable electronic cigarette has an e-liquid base or tobacco formula of 70% Pharma Grade Propylene Glycol (PG) and 30% Pharma Grade Vegetable Glycerine (VG). With a flavor ratio of 15%, this e-cig will give you just the right amount of menthol flavor when you use it. Moreover, it is made with 100% traceable top grade ingredients, as ePuffer only wants what is the best for you. Worry about hazardous ingredients? You definite do not have to! ePuffer Eco Series Menthol Disposable E-Cigarettes have undergone laboratory screenings to make sure that it is free of Diacetyl (DA) & Acetyl Propionyl (AP). This is the best menthol flavor in electronic cigarette form available on the market. I've tried almost every brand out there, and nothing comes close to Epuffer menthol flavor. Big thanks to Epuffer flavorists. Very delicious menthol flavor. You guys really know what you are doing.